Go everywhere and do everything fridges & freezers. Great for camping, travelling, 4wd’s, trucks, cars, buses & pretty much anything. Low power 12V – 24V upright fridges. Ideal for mobile use in caravans, RV’s, boats or fixed off-grid. Low power 12V – 24V upright fridges for caravans, RV’s, boats & off-grid. Perfect for off-grid living, farms, holiday houses and long term camping. Solar panels, fridge slides, leads & more. Find everything you need for your fridge or freezer. 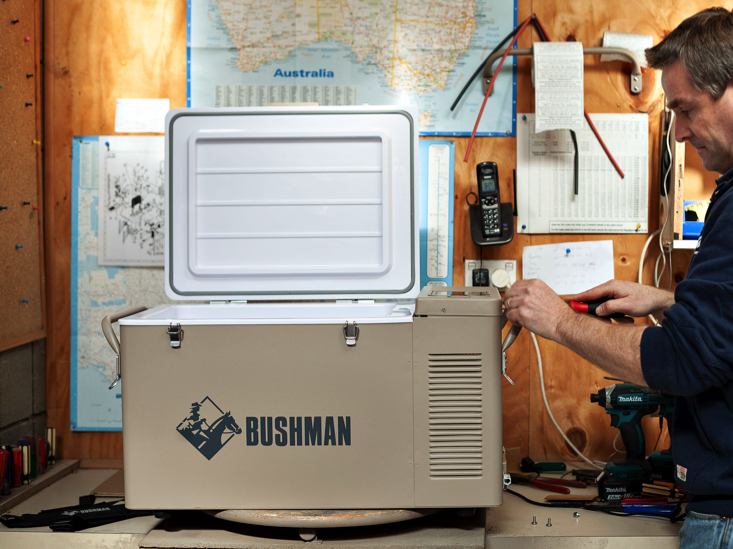 We’re experts in portable, mobile and offgrid refrigeration in Australia and have been for over 35 years. We’re also a 100% Australian owned family company, so when you deal with us, now and into the future, you can rest assured you’re in good hands. Feel free to call or email us anytime. We’ll happily answer all your questions to help you buy the best fridge for your needs. Need some help choosing a fridge? There’s heaps of information in our fridge guides to help you compare different types of fridges, for offgrid living, camping and travelling. Have a question or need a hand? We’re always here for you. Contact us directly anytime.